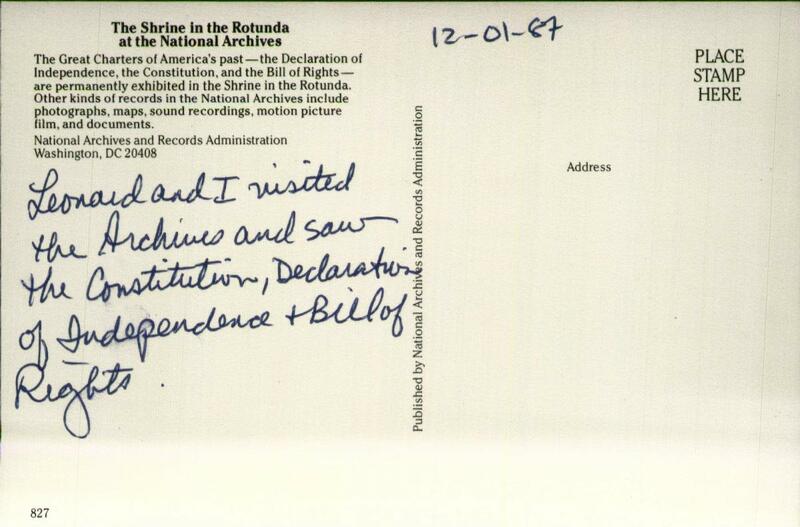 Leonard and I visited the Archives and saw the Constitution, Declaration of Independence & Bill of Rights. 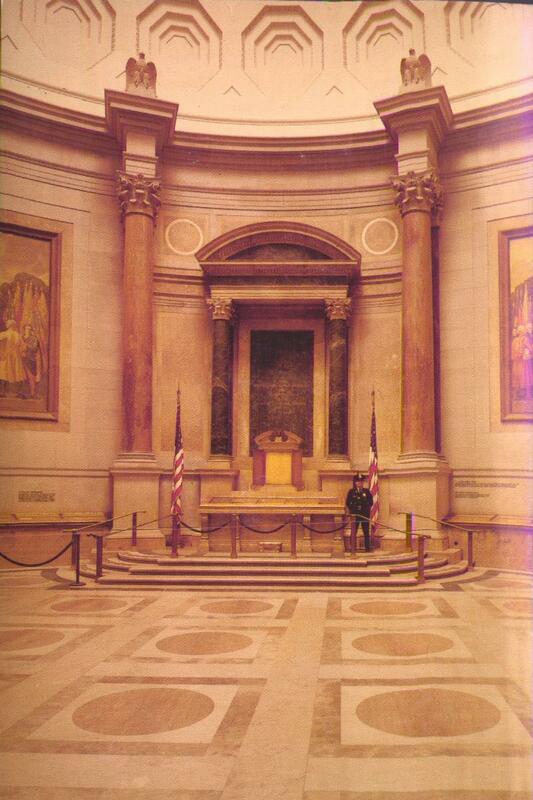 The Great Charters of America's past -- the Declaration of Independence, the Constitution, and the Bill of Rights -- are permanently exhibited in the Shrine in the Rotunda. Other kinds of records in the National Archives include photographs, maps, soun recordings, motion picture file, and documents. I know you can't zoom in on the postcard, but if you could, you'd see that the security guard has a bitchin' 70s cop mustache.